Welcome to our website. 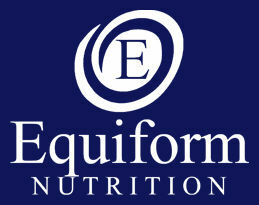 Equiform Nutrition has been established for over 100 years with a complete range of horse supplements. Products include; vitamin and mineral supplements, calmers, joint supplements, electrolytes and many other products formulated to support performance. All our products are formulated using the most up to date technology and information by qualified analysts and ingredients are specially selected for their purity. Based at our purpose built production facilities, our supplements are produced to the highest quality control standards and production techniques, Manufactured in our VMD Licensed facility to GMP standards and with UFAS & ISO 9001 accreditation and quality control procedures in place, you can be assured of the highest quality standards when buying from Equiform. Great care has been taken to ensure a correct balance of vitamins, minerals and trace elements within our broad range of equine supplements, especially where they have complimentary use with our electrolytes. We are also able to offer custom manufacture supplements based on a scientific analysis of customers’ own personal feed regime. Our products are also assured under the NOPS scheme, and every care has be taken to ensure there is no contamination with prohibited substances. Extensive risk assessment of raw materials occurs prior to manufacture to ensure the risk from cross contamination does not occur. In additiona, as cross contamination is a key principle of GMP standards, the procedures in place ensure products do not become at risk of containing prohibited substances. Where products are used that are subject to BHA & FEI Clean Sport control, the withdrawal period is detailed in the product information. At this time, our only product coming under these controls is Devils Claw Liquid.